Find a post to join below or contact us for more information at 713-659-8111. Fill out our career interest survey and we will notify you of when a new Exploring post is starting near you. 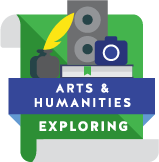 Art & Humanities is a hands-on program that exposes participants to many career opportunities in art, music, drama and other humanities areas. Fill out our career interest survey and we will notify you of when additional Exploring posts start near you. Aviation Exploring combines exciting hands-on activities with interactions with aviation professionals representing a wide range of careers. Explorers will experience firsthand what it's like to be a pilot, aircraft mechanic, flight engineer and air traffic controller. Fill out our career interest survey and we will notify you when a new Exploring post is starting near you. 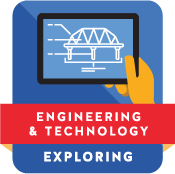 Engineering & Technology Exploring is a hands-on program for youth with an interest in learning more about careers in the fields of engineering and technology. Fill out our career interest survey and we will notify you of when additional Exploring posts start near you. 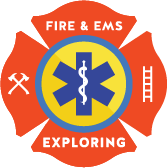 EMS Exploring is a hands-on program for youth with an interest in learning more about careers in the field of fire or emergency services. Fill out our career interest survey and we will notify you of when additional Exploring posts start near you. Law Enforcement Exploring offers youth a personal awareness of the criminal justice system through training, practical experiences, competition and other activities. Additionally, the program promotes personal growth through character development, respect for the rule of law, physical fitness, good citizenship and patriotism. Fill out our career interest survey and we will notify you of when additional Exploring posts start near you. Fire Exploring Exploring is a hands-on program for youth with an interest in learning more about careers in the field of fire or emergency services. Fill out our career interest survey and we will notify you of when additional Exploring posts start near you. 51 Huffman Huffman Fire Dept. Health Care Exploring is a hands-on program where Explorers learn from medical professionals who work in the healthcare industry every day. Explorers will learn from healthcare leaders who will share their experiences and expertise to help support you as you learn about the healthcare field. Fill out our career interest survey and we will notify you of when additional Exploring posts start near you. Science Exploring is a hands-on program for youth with an interest in learning more about careers in the fields of science. Fill out our career interest survey and we will notify you of when additional Exploring posts start near you. 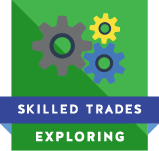 Skilled Trades Exploring is a hands-on program for youth with an interest in learning more about careers in the fields of skilled trades. Fill out our career interest survey and we will notify you of when additional Exploring posts start near you. Business Exploring is a hands-on program for youth with an interest in the many functional areas within a business, including sales/marketing, operations, finance/accounting, customer service, human resources, and information technology, learning more about careers in the field of business. Fill out our career interest survey and we will notify you when a new Exploring post is starting near you. 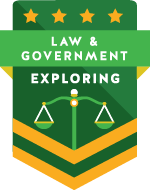 Law & Government Exploring is a hands-on program for youth interested in a career in law enforcement or a related field in the criminal justice system. Fill out our career interest survey and we will notify you when a new Exploring post is starting near you. Dental Health Care is a hands-on program in which students will learn directly from dentists and medical health leaders that will help guide and mentor the Explorers as they learn about various dental careers, dental health awareness and education, while also discussion of topics pertaining to the dental field. Fill out our career interest survey and we will notify you when a new Exploring post is starting near you. Exploring is a great way to learn about careers and you can join one of the many Explorer posts today! 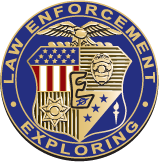 Check out this video that explains more about the Exploring program.